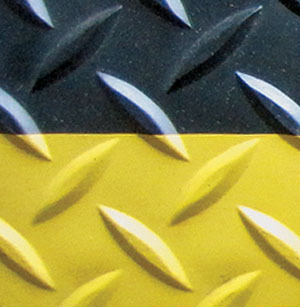 Bright yellow borders promote workplace safety along with a rugged, durable, PVC/Nitrile rubber anti-fatigue matting. 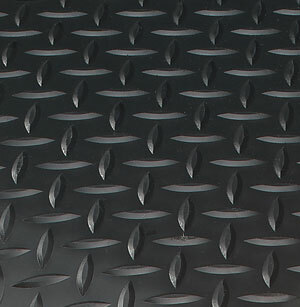 Diamond-Plate's cushioned surface allows employees to stand or walk on beveled edges. Superior comfort and long term performance improve worker morale by providing relief to lower back and lower limbs. Bright yellow borders promote workplace safety. Rugged, durable closed-cell vinyl sponge anti-fatigue matting. Improves worker morale by providing relief to aching feet and tired legs. Provides comfortable cushioned surface to stand or walk on.